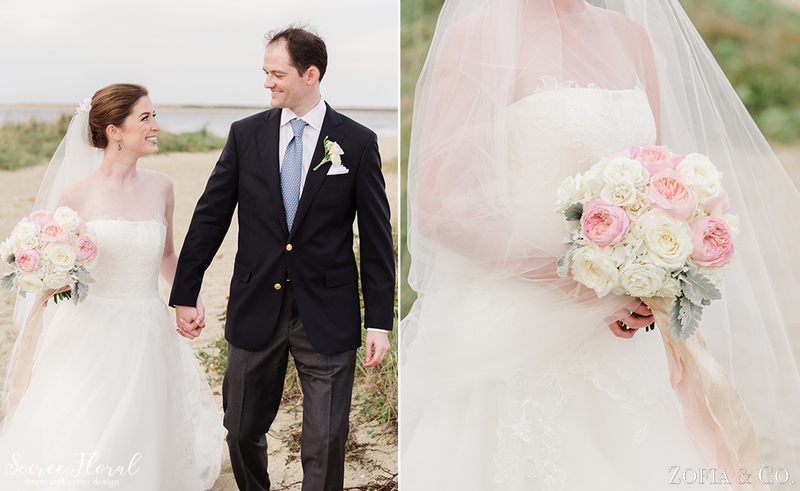 Brooke and Tim’s Nantucket Yacht Club wedding overflowed with lush blooms and glowing candlelight. 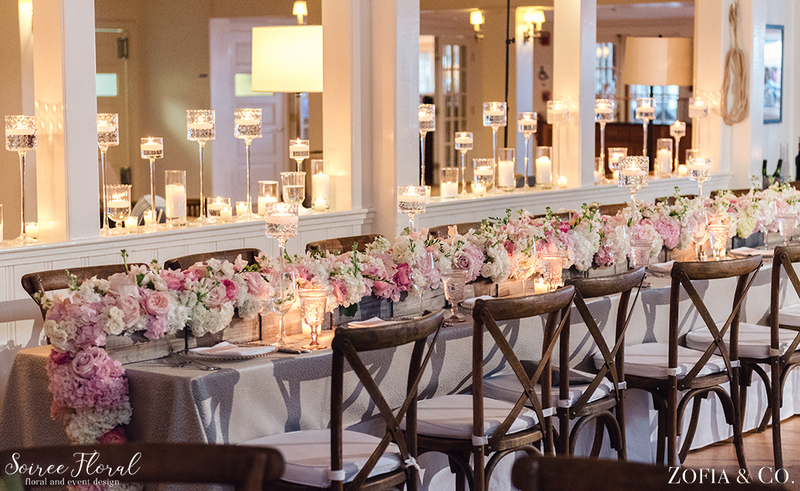 In fact, Brooke’s key word while planning her wedding was “fire hazard”; and while we didn’t break any fire codes, we ensured that candlelight made an impact when guest’s walked into the ballroom at the Club. 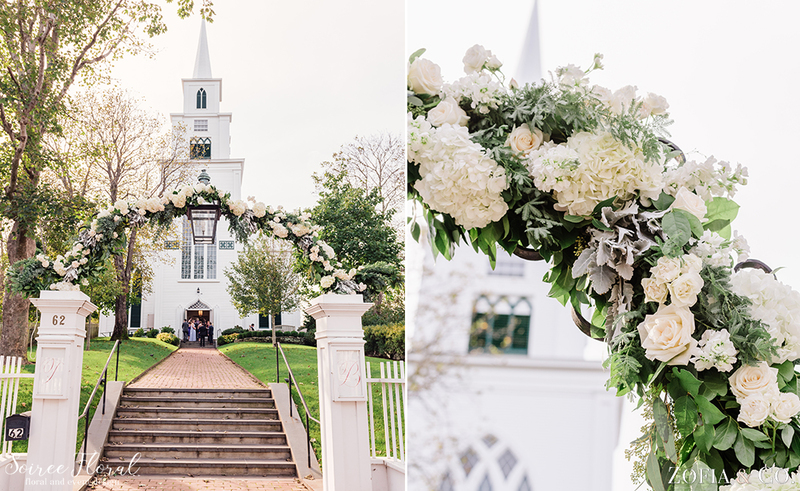 But we’re getting ahead of ourselves – Brooke and Tim’s ceremony at the First Congregational Church of Nantucket was unlike any other. 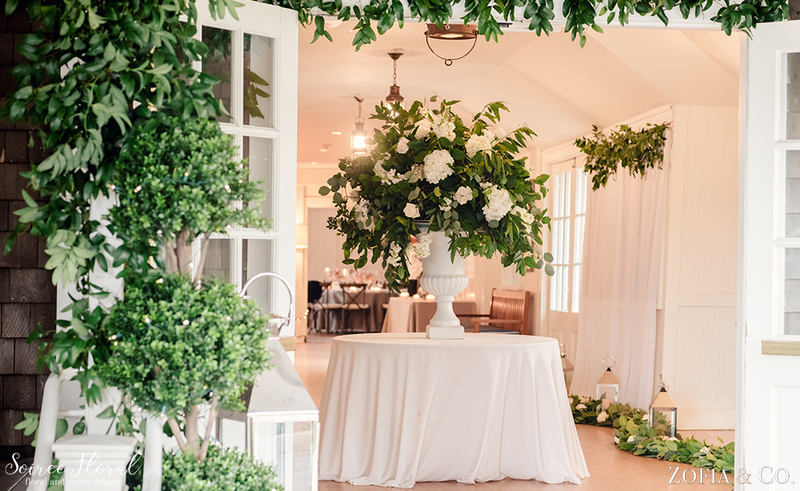 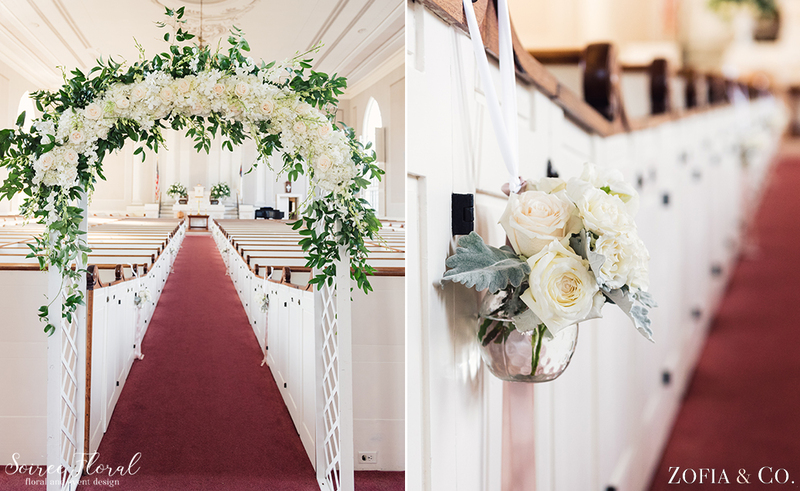 From the arch at the entryway of the property, the arch at the start the aisle, to the urns flanking the altar, their ceremony was flush with florals and greenery. 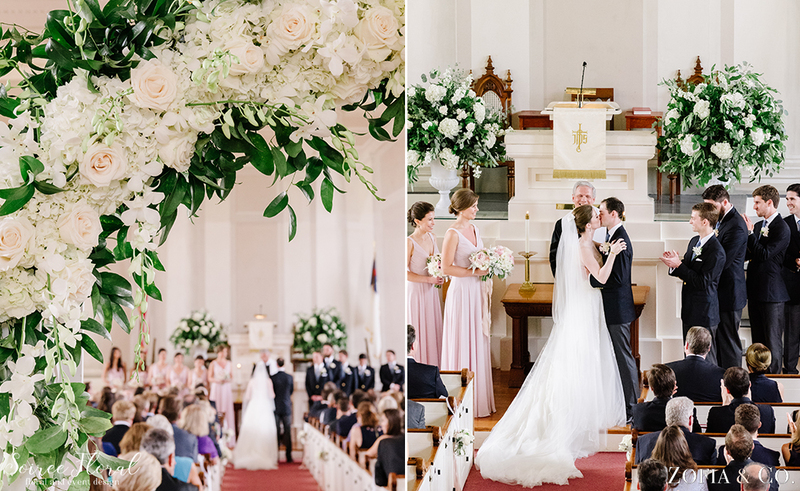 In fact, the arch at the beginning of the aisle was a surprise gifted to them by Brooke’s mother. 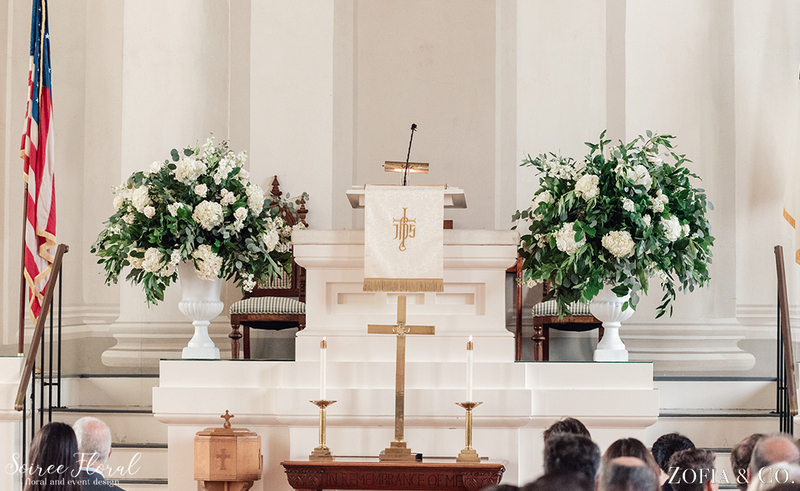 Green and white florals inside the church created a classic, serene setting for the couple’s nuptials. 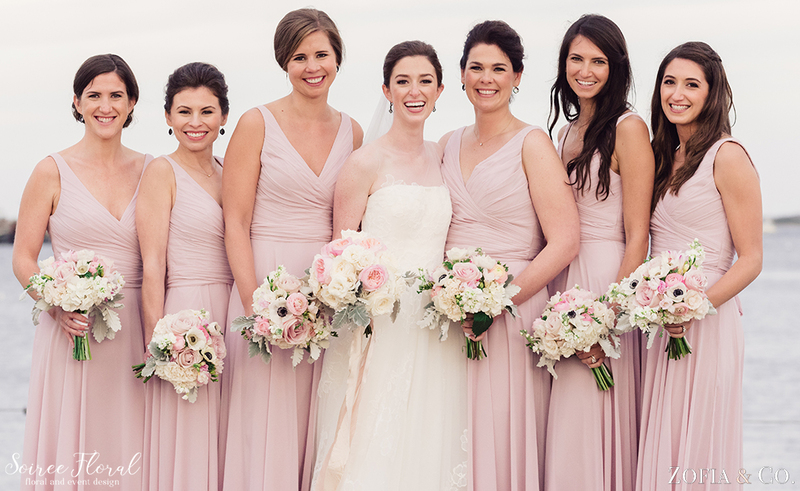 Her bridesmaids donned blush gowns and carried soft hues in shades of ivory and blush with a hint of contrast with white anemones. 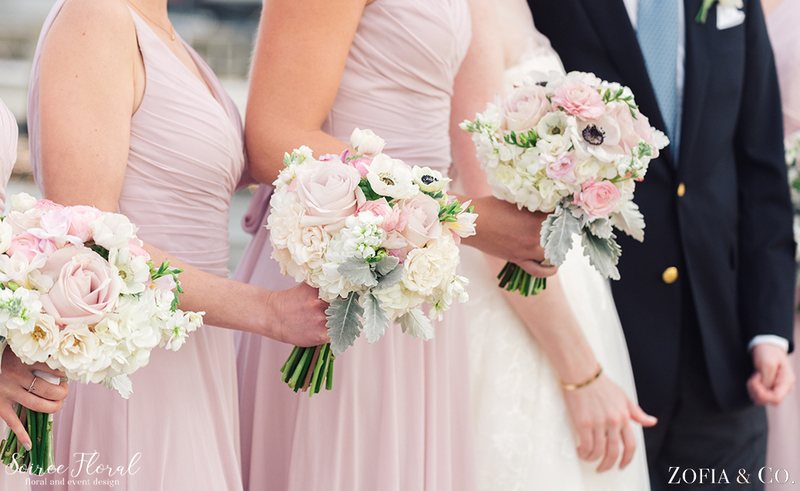 Brooke carried a fluffy and round bouquet of garden roses that paired perfectly with her romantic Vera Wang gown. 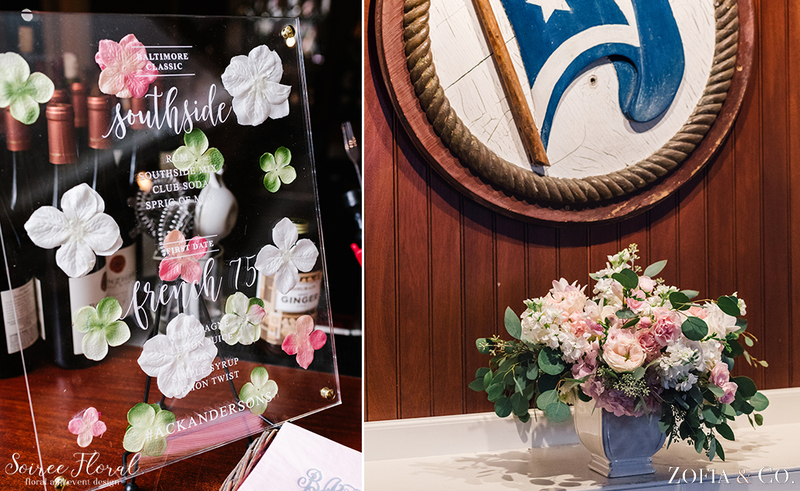 After the ceremony, the guests were guided down to the Yacht Club by a trumpeting band member who led them through a lantern-lined entryway to the cocktail hour where guests enjoyed signature cocktails and a swoon worthy sunset. 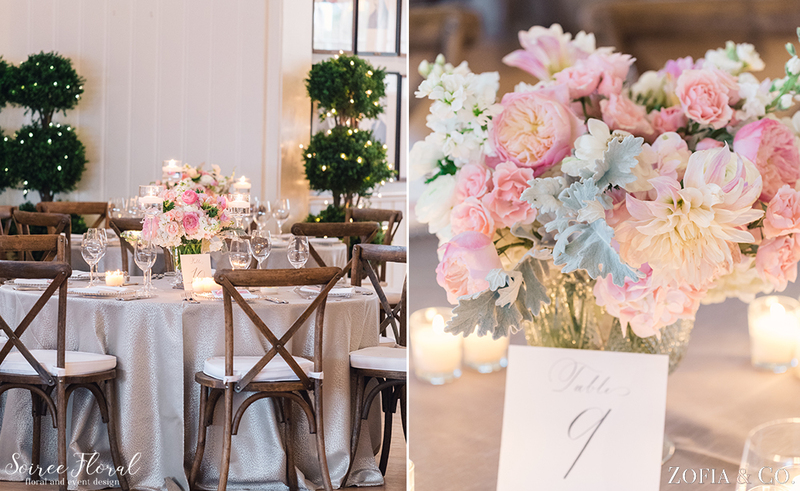 Back inside, the ballroom was glowing with candlelight and the tabletops donned silver linens and blush and white centerpieces in glass pedestal vases filled with dahlias, garden roses and freesia. 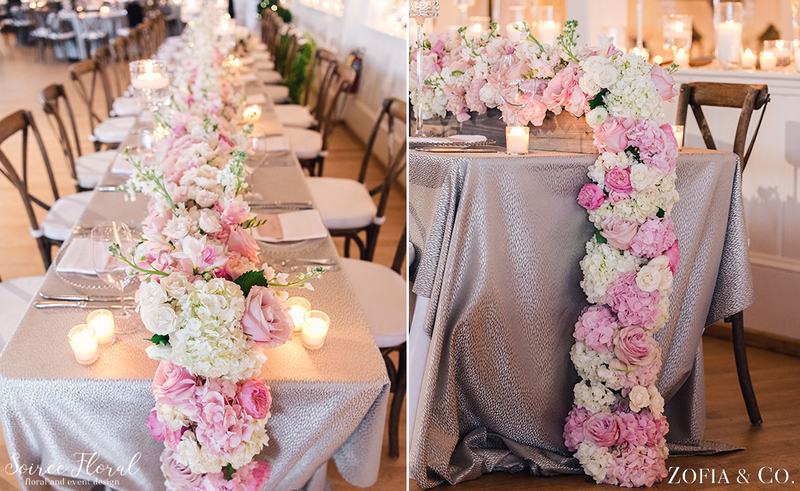 The long head table featured a dramatic floral garland that was overflowing with fluffy garden roses and cascaded off the table. 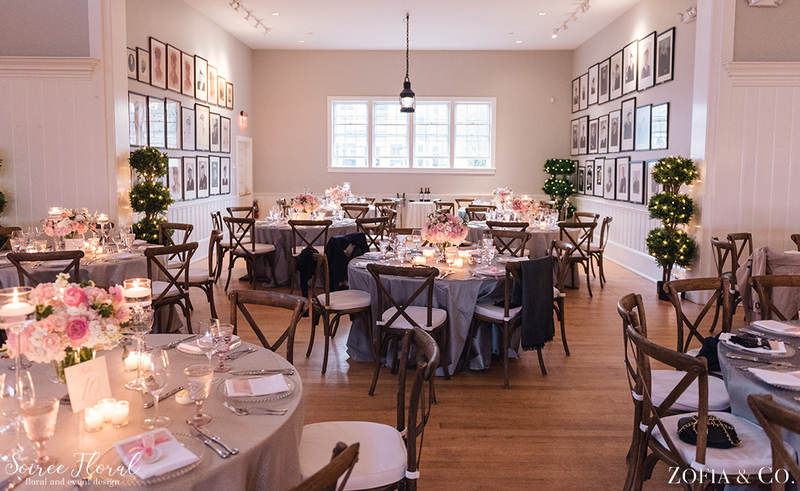 The night was topped off with a great performance by the Sultans of Swing that kept guests dancing until the very end of the night. 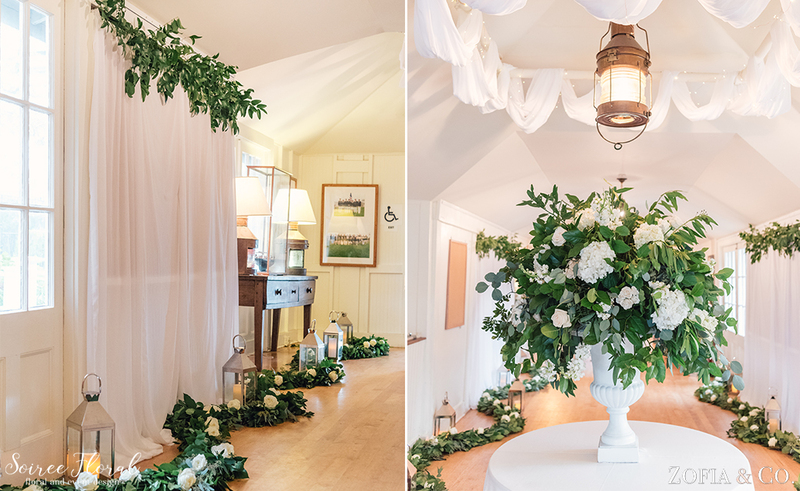 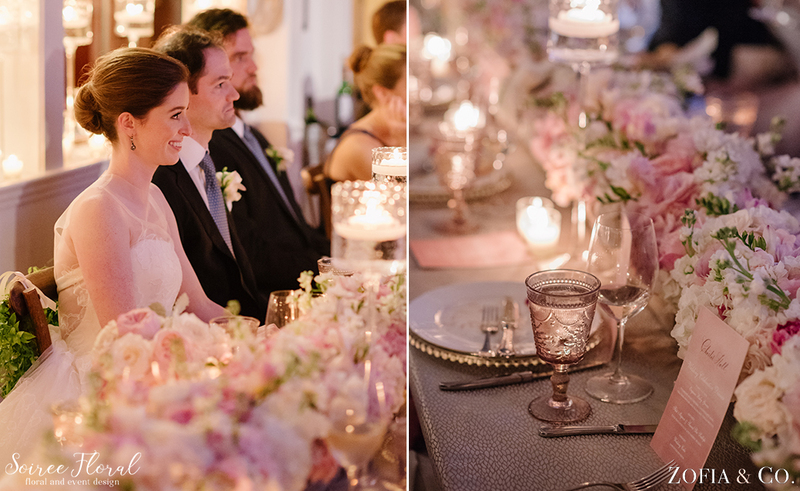 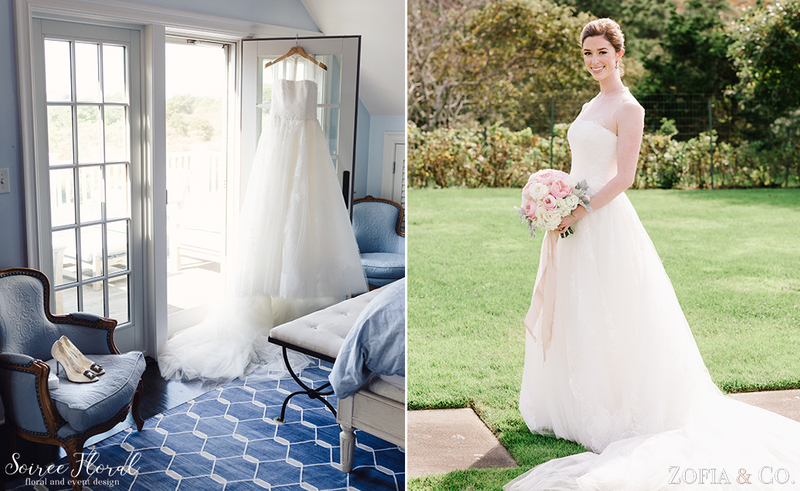 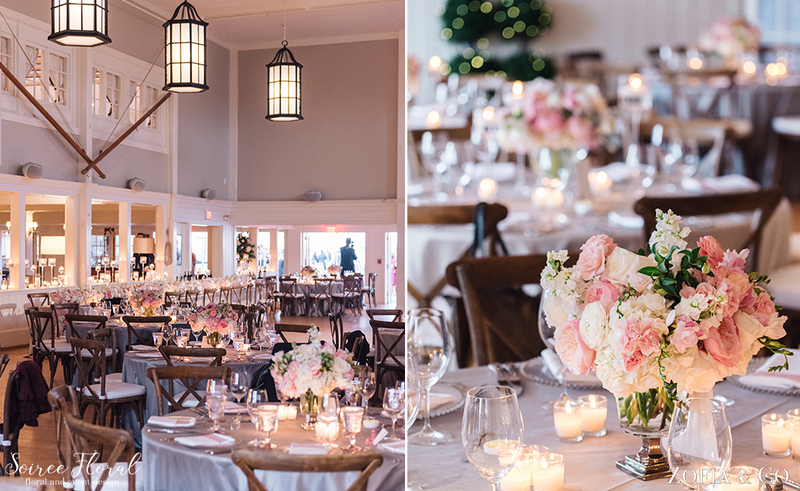 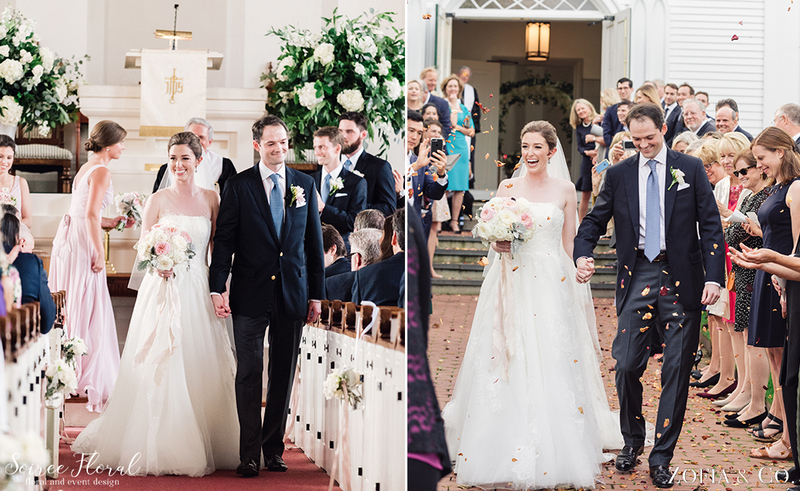 See more details from their gorgeous Nantucket wedding here.